Dedicated to the performance and creation of contemporary, original jazz and improvised music, Andrea Keller has been described as having 'one of Australia's most consistently interesting musical minds' (Doug Spencer 2007). During Keller's professional career, she has led numerous projects as a pianist, performing her original compositions and arrangements, most notably the Andrea Keller Quartet, the Bartok Project, the Wayne Shorter Project, the Komeda Project, From Ether, and Three Lanes. She was a co-founding member of the original Bennetts Lane Big Band (2001-2013), and has released twelve albums as leader/collaborator. The diversity of Keller's approach to music has seen her perform in settings ranging from big band to solo, and has placed her on stage with artists such as Eddie Perfect, Genevieve Lacey, John Surman (UK), the Black Arm Band, Bernie McGann, the Australian Art Orchestra, Sandy Evans, Flinders Quartet, Allan Browne, Ten Part Invention, Phil Slater, The Song Company, Mike Nock, Gian Slater, Barney McAll, James Crabb, and more. With a growing body of work traversing styles, Keller has been invited to compose and arrange music for The Song Company, Marshall McGuire, Zephyr Quartet, the Black Arm Band, Genevieve Lacey & James Crabb Duo, Poetica (ABC Radio National), Four Winds Festival, ANU Canberra, Claire Edwardes, Melbourne Women's International Jazz Festival, Seraphim Trio, Ten Part Invention, Royal Children's Hospital, Mike Nock, and the Australian Art Orchestra. Upon graduation from the Victorian College of the Arts in 1996, Keller became an active educator in Melbourne's tertiary jazz & improvisation departments, including the Faculty of the VCA and MCM University of Melbourne, Monash University and Melbourne Polytechnic (formerly NMIT). She has been invited to give workshops at tertiary institutions around Australia, and was integral in the annual jazz/improvisation workshops 'Girls Do Jazz', presented by the Melbourne International Women's Jazz Festival (2000-2007). 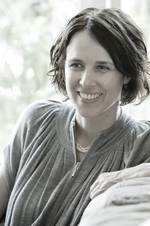 Lauded for her music, Keller has received three ARIA Awards, four Australian Jazz 'Bell' Awards, an Art Music Award, and fellowships from the MCA/Freedman Foundation and the Australia Council. She holds a Bachelor of Music in Improvisation (Honours) from the Victorian College of the Arts (2001) and a Master of Arts (Research) from Queensland University of Technology (2011). Duality (in two parts) : big band (2016) Commissioned by SIMA for performance by Sydney Women’s Jazz Collective. Wish : harp solo (2015) Commissioned by Marshall McGuire. Where is everybody? (duos: recorder, accordion) (2014) Commissioned by Genevieve Lacey, James Crabb. L.D.D. (Light, Depth, Dark) : string quartet (2014) Commissioned by Zephyr Quartet. Perception : for treble recorder (2013) Commissioned by Genevieve Lacey.